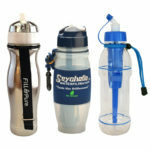 New 200 gallon Dual-Filter Family Water Pitcher produces alkaline water up to 9.5 ph. 8-cup capacity. Removes up to 99.99% of contaminants and pollutants. 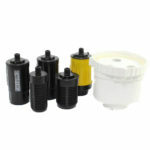 Includes 2 pH2O single filters. 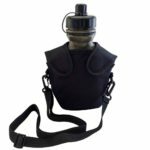 The 64 oz pH2O PUREWATER Family Water Pitcher provides up to 200 gallons of great-tasting, high-quality alkaline water up to 9.5 pH*. 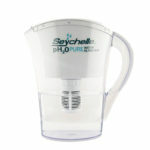 Unlike other water pitchers on the market, the Seychelle pH2O Family Water Pitcher guarantees cleaner, healthier water by removing up to 99.99% of the 90+ known tap water contaminates regulated by the EPA. *Your results may vary. 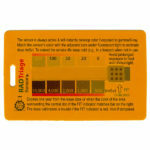 To get an accurate pH reading a pH meter is necessary. The meter must be calibrated on a constant basis and the person using this type of meter must have a complete technical understanding of cations, both positive and negative – all of which can affect the results of the pH reading. 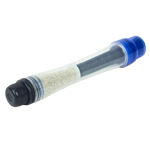 Test strips, test kits or non pH meters that are available for testing aquariums, spas, pools, saliva, urine, etc. are not designed to deliver a “true” high end accurate reading. I bought this pitcher when they first came out and love it! Water tastes great and filters last a long time. I need the benefits of high alkaline water.